On Sunday, June 24, Readex will host a special breakfast presentation titled “When Indians and Americans Got Along: An Alternative History of the Louisiana Territory.” An open discussion will follow the talk by Stephen Aron, professor of history and Robert N. Burr Chair at the University of California, Los Angeles. In this enlightening talk, Prof. Aron—a leading authority on the American frontier—disputes textbook histories that treat the ejection of Indians from their lands as inevitable and relations between native peoples and American pioneers as unremittingly hostile. Aron’s spirited presentation uncovers an alternative history in which some Indian and American migrants to Spanish Louisiana, including most famously Daniel Boone, overcame their enmities and cordially cohabited. Drawing on Spanish colonial records and the Territorial Papers of the United States, Aron explores how former enemies found common ground in the 1790s and how generally friendly interactions continued after the Louisiana Purchase transferred the territory to the United States. 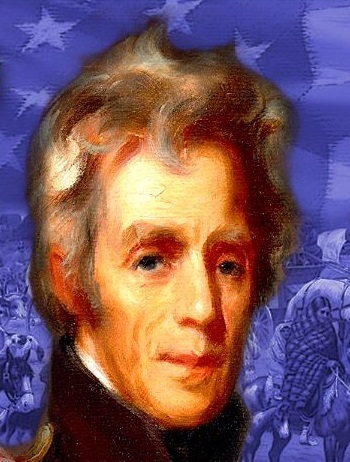 But in the decade after the War of 1812, he explains, amicable relations gave way to pressure from a new group of settlers and to the demands of “American democracy.” These changes challenged the authority of territorial officials like William Clark and paved the trail for Indian removals to and through the Louisiana Territory. 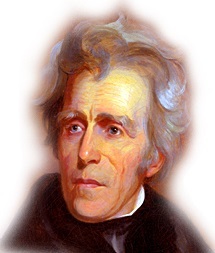 On Sunday, February 11, Readex will host a special breakfast presentation titled, “Andrew Jackson and the Trail of Tears: Setting the Record Straight.” An open discussion will follow the talk by Daniel Feller, a professor of history and one of the nation’s leading authorities on Andrew Jackson. But, as often happens in history, what everyone knows may not be exactly true. What really happened, what alternatives were available, and how much of the blame should Jackson bear? In this presentation, Daniel Feller, Professor of History and Editor/Director of The Papers of Andrew Jackson at the University of Tennessee, strikes beneath the surface of this well-known tale to reassess the historical facts of Indian removal and to consider their implications. 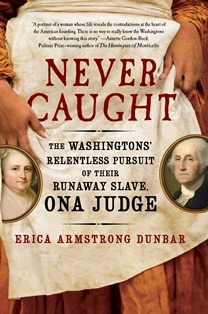 Congratulations to Erica Armstrong Dunbar whose new book, Never Caught: The Washingtons’ Relentless Pursuit of Their Runaway Slave, Ona Judge, has been long-listed for the 2017 National Book Awards. It is one of ten non-fiction nominees for this year’s prize which will be announced on November 15. Dr. Dunbar is the Director of the Library Company of Philaelphia’s African American History Program and the Charles and Mary Beard Professor of History at Rutgers University. “Never Caught: The Washingtons’ Relentless Pursuit of Their Runaway Slave, Ona Judge”—a new book about the risks one young woman took for freedom—was published yesterday. Author Erica Armstrong Dunbar, Distinguished Blue and Gold Professor of Black Studies and History at the University of Delaware, explores not only the 22-year-old’s courageous escape from the Philadelphia home of the first First Family but also the subsequent efforts George Washington took over many years to have her recaptured.